Why can't we defend when we have to? A shambolic coach journey results in a late kickoff. We take an improbable lead, they equalise............the Ulster Arse strikes in injury time, but Northampton equalise in the sixth minute of injury time. Would have been happy with 1-1 but 2-2 after going ahead in injury time feels like fate has lifted you up into the clouds and then splatted you back down onto the ground. Gutted, gutted gutted you bet Im gutted and a wee bit fed up as well. Where did the hell did Coco get 7 minutes of added time from? Fed up ain't the word. Well we did bring on two subs after the 1-2. And that freekick took some time to be taken. We'll have to wait for match reports and see if people can tell us why the free kick was given in the 1st place. Still a point, and it's only football. Also, we will have to wait for match reports and see if people can tell us why, after scoring so close to the end, we decided to replace two attack-minded players with two more concerned with defence, and thus surrendered the initiative in that one moment. Why on earth do some managers do this when it defies all logic ? No smilies in your post, stewart, so will take as read. I think Bucks was trying to tell the ref time was up and made those substitutions purely to defend the free kick. Not got the energy for a report, but the ref was indeed a total arse. 2 very good goals from us. Couldn't see what they got the free kick for, but it was on the edge of our box and the ball was around the half way line at the time. Lino spotted something. Don't know what. Draw was a fair result, but obviously the lateness of their equaliser was fairly galling. Two very good saves from Bevan in the second half. Even by Torquay's standards that was a bizzare night. You guys probably know more about the reasons for our lateness than I do. I know the M5 was closed, but to leave Torquay at 13:00 hrs for this journey on a Friday night is wrong - no excuses, just plain wrong. Anyway, on to the game. Frustrating in so many ways. Bucks must have fed the players fizzy pop and E numbers during those hours stuck on the coach. We came out very hyped up - but not in a good way. Little discipline, no composure and little football played. All night we conceded stupid fouls. It was more like a wrestling match at times as the ball spent much of the time in the air with players pushing, shoving and grabbing each other whenever they could get away with it. Our ball retention was awful for much of the first hour or so. Trying to play pretty football at the wrong times and hoofing it when there was no need. We couldn't string four meaningful passes together. All very similar to Aldershot a couple of weeks ago. 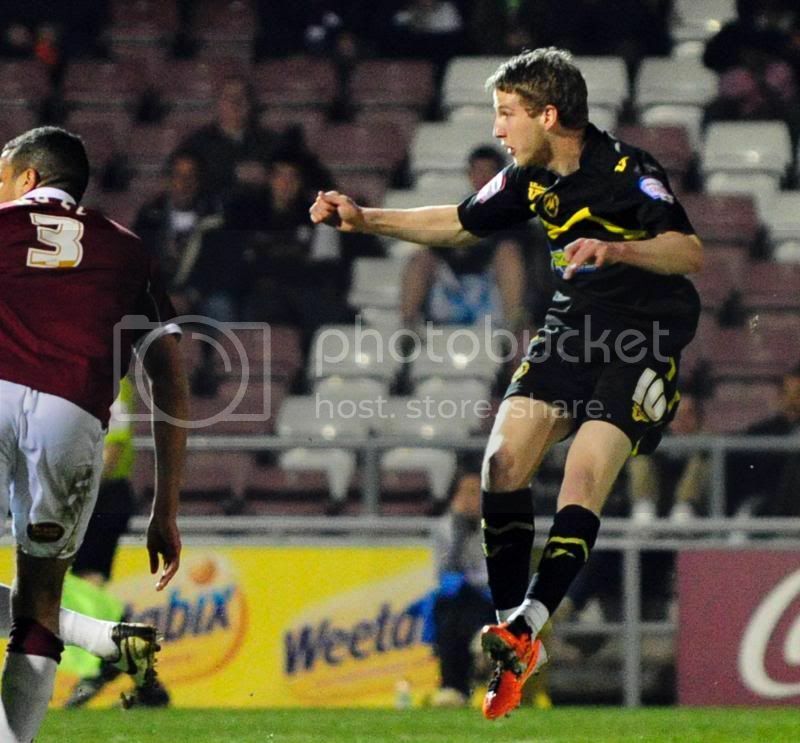 That said, O'Kane took his goal very well, taking advantage of sloppy Northampton play. 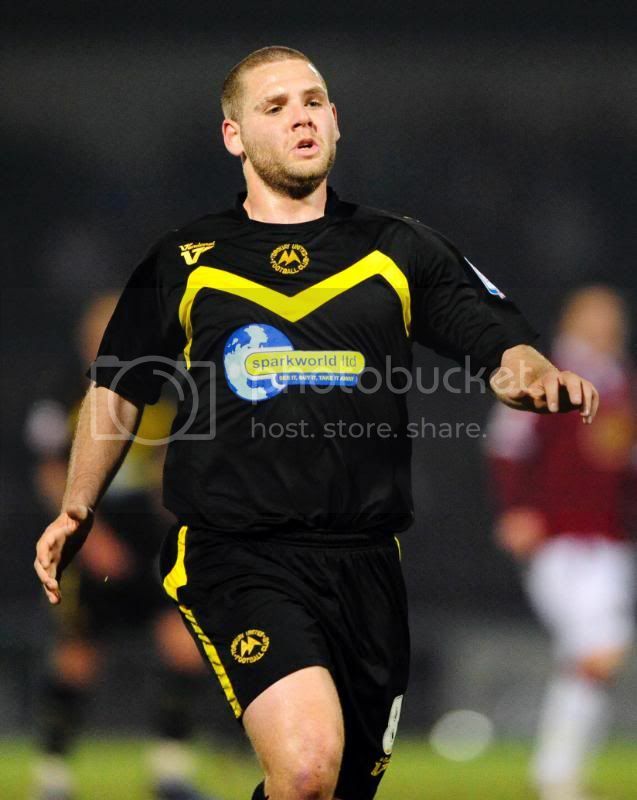 He was probably the only member of the Torquay squad with the ability to finish from where he picked the ball up. After this, Northampton stepped up a gear and had far too much space as we lost the midfield battles and failed to keep the ball when we had it. We gave away so many free kicks and it was only a matter of time before Northamton used one of them. I dare say some of the challenges were fair and that the Northampton players made the most of them, I'm no purist and there is a time and a place when the best course of action is to take the man out of the game - but we did this so often we just invited pressure on ourselves. I imagine many Gulls fans will say that the ref was a homer - maybe he was..........but we kept on giving him the opportunity to penalise us with silly, niggling fouls when much of the time there was no need. Both of thei goals came from a needless free kick concession. The first goal came form a free kick which was rightly re-taken as the first one was taken whilst the ref was trying sort out some pushing and shoving in the box. Typical of the night really. I thought they had over hit it, but it was headed back across goal and nodded in. A stupid goal to concede. We were slightly better in the second half - a tiny bit more composed and started to create one or two chances as Northampton seemed to get tired. Robinson flashed one across goal - I have seen him put more difficult chances away. Kee came on for the very oirdinary Tomlin. We still struggled to retain the ball and Bevs made two very decent saves and his handling was pretty good under pressure. Into the closing 4 minutes added time and most gulls fans present would have settled for the draw. Then up pops Billy with a terrific strike from the angle of the edge of the area. A peach of a strike. 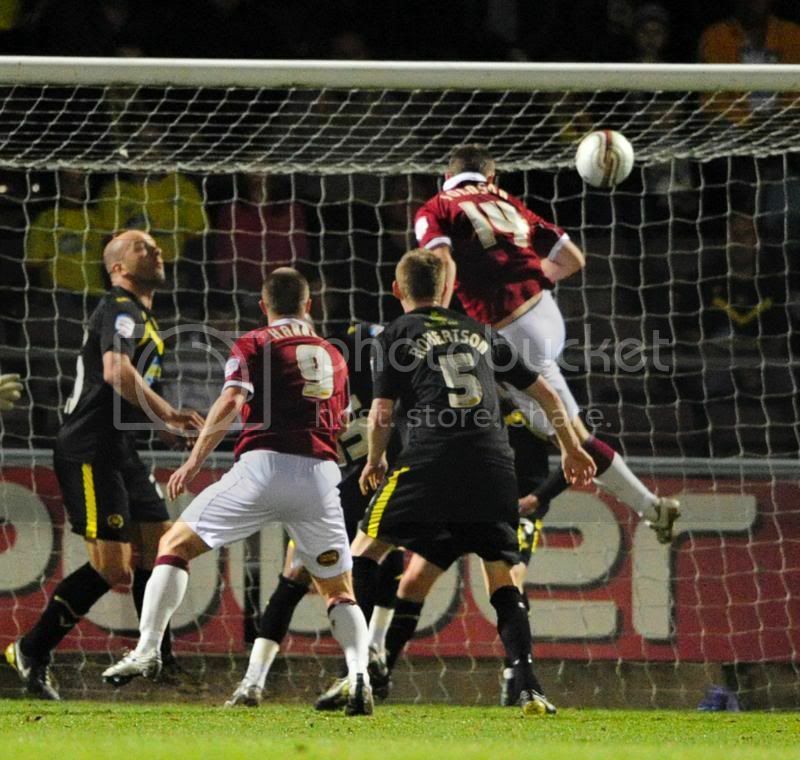 Had we held on it would have been unjust on Northampton, but who cares. We had the points in the bag if we could just remain composed and keep our discipline for two minutes. No such chance. People will look at the fact that there were seven or so minutes injury time, but in truth there was very little football played between the two goals - a couple of pointless substitutions and then there seemed to be an age before they took the free kick form which they eventually scored. I don't exactly know what happened. 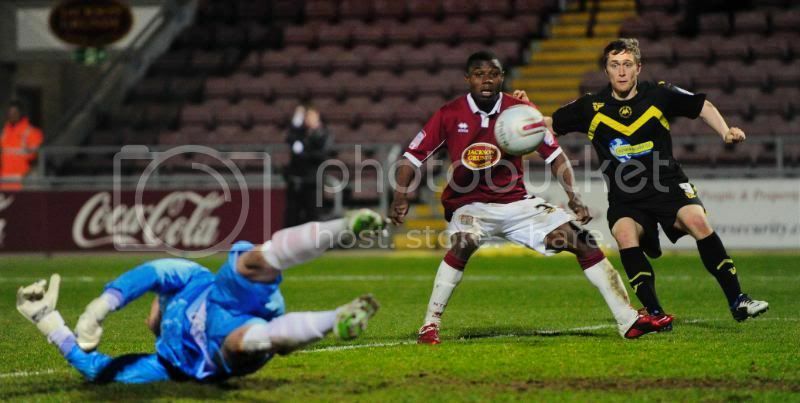 I know Northampton had the ball on the wing not far from the half way line and there was no danger whatsover. Then one of their players went down on the edge of our box - completely off the ball. 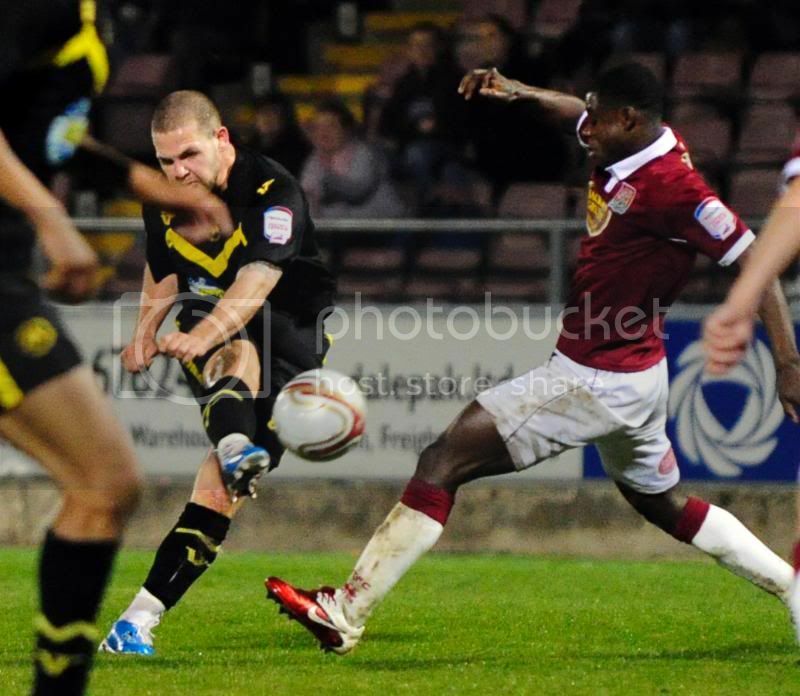 I don't know if he dived and I don't know which Torquay played fouled him, but suddenly Northampton had a life line. To be honest we had been far too keen on grabbing their players all night and it would not suprise me if free kick was genuine. Anyway. the initial free kick was blocked only to be smashed in on the volley - Bevs no chance. Que a bizzare pitch invasion as if they had just secured promotion. In the cirumstances a decent point, but don't be fooled by any people blaming the officials or coach journey for this one. We caused our own downfall tonight and have no one to blame but ourselves. No discipline and no composure. I think the team and PB have done very well this season - exceeded my expectations by miles. Whatever happens the season has been a success in my eyes. However, as well as this debacle I have now seen us against Crawley and at Aldershot, Accrington and Cheltenam in the last 6 weeks or so. In it's current state I don't think the club is good enough on and off the pitch to be anywhere near promotion. Tonight underlines that. However, as well as this debacle I have now seen us against Crawley and at Aldershot, Accrington and Cheltenam in the last 6 weeks or so. Enzo, great match report and thanks for that, especially bearing in mind the time you posted it. I don't get a reception on Radio Devon's 1458am where I live so reports from the game are greatly appreciated. agree whole heartedly with the report above. it is spot on. no use blaming the ref, substitutions, journey etc stanley was poor and seemed to be limping very early on and should have been replaced as well as tomlin earlier in the game. apparently robertson elbowed a player to give the free kick away, something that happens far too often. bevan was my mom by a mile. Cheers for that Enzo. It did puzzle me why we bought on the two subs so late. This would put us on 65 points in second place 5 points clear although Bury and Wycombe have two games in hand. I should also say I have seen us win at Barnet, Oxford and Wycombe!! - To be fair, we looked genuine condenders when we destoyed Wycombe at their place. The best Torquay performance I have seen since the Leroy promotion side. Enzos report is very good and mainly bang on in my eyes. First half we were unruly and seemingly out to rile their players and fans, with unnecessary pushing and fouling, Branno being the main culprit. Saying that though, I thought the ref had a bit of poor game giving no foul when needed and falling for play acting (two "boots to head" incidents stick out, when I saw no contact yet their players both acted like they had taken one full force) and blowing up for seemingly nothing. But as was previously stated we kind of helped him by being so out of control. O'Kanes goal was a good run and shot (home fans will say there was an obvious foul in the build up, but this became par for the course as they screamed injustice at everything) but the rest of the half was mainly about fouling and defending, the latter being something we only really failed on once when we obviously thought that cross was going behind and fell asleep for it's return into the box. Would take 1-1 at half time. Second half saw more composure and our temperaments more in check. We played better football and looked the better side, but for the odd good break from the cobblers (one great block from Bevan in a one on one stands out), I started to get my hopes up. Robinson broke clear on the left in the box on to push his shot wide of the far post, expected more from what is undoubtedly a talented striker. The rest of the half passed with half scares for both teams and an assortment of fouls, Branstons booking got almost as big a cheer as their second goal! Then into injury time, and the rollercoaster. Four minutes had been shown on the board, and not long into that sub Kee picked the ball up on our right outside the box and slammed the ball goalwards (I like Billy cos he's not afraid to chance his arm from anywhere, doesn't always work but at least he buys a ticket), nestling nicely in the bottom left corner. We went ballistic. What a time to grab a goal, not long left surely. They pushed on, they had too. And on one such foray into our half I spotted the Lino flagging like a loon, that's not offside then I thought, and a free kick was given. Time must have been up this obviously going to be the last chance. Not a bad piece of management in my eyes was replacing two of the smaller players with Ellis and Oastler, to help defend the set piece. Wasn't wasting time or taking any attacking initiative away cos there was no bleeding time left and we didn't have the ball. Block it, clear it, save it, anything and the game was ours. Finally the kerfuffle was sorted and the kick taken. Blocked! Yes! And as the ball looped to the right side of our box it became apparent that their was a bloke standing waiting... Bugger!! Great finish have to say, not even Potter could have saved it (lol). Their fans went mad (like us at Macc the saturday before) and invaded the pitch to help carry their rightly won silverware, oh no hang on, they just secured a point at home. Like has been stated a draw was a fair result for both teams, but given the circumstances it makes it harder to swallow. Still games left though, it aint all over yet.